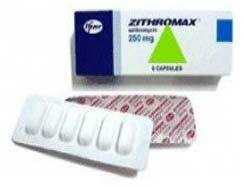 Details : Zithromax Tablets. Zithromax tablets are a macrolide anti. Zithromax slows the growth or sometimes kills sensitive bacteria by reducing the production of important proteins needed by the bacteria to survive.Zithromax Offered medicine is used alone or with other medicines to treat or prevent certain infections in persons with advanced HIV infection.